Mazatlan Mexican Restaurant - At Mazatlan Mexican Restaurant our recipes are authentic and time-tested. We have the best Taco Tuesday and Happy Hour in town. 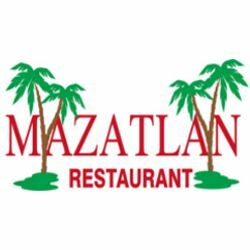 Established in 1968, Mazatlan Mexican Restaurant is also a name, a dream and realization to avid food lovers. From a genuine passion and admiration to Mexican cuisine and culture, our Food is made out of flavors and traditions. The essence of our cuisine is based on the authenticity and quality of our ingredients, a celebration of age long techniques and traditions, and the passion and respect for the Mexican culture. We are expanded to Mountlake Terrace and offer a Happy Hour from 3pm to 7pm / 9pm to close every day. Visit http://themazatlanmex.com/mountlake-terrace/index.php or call 425-744-1525 for more information.